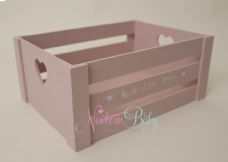 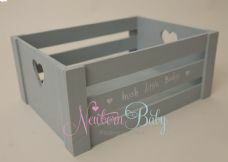 Our crates come in a variety of styles and shapes but all have been chosen with the newborn and baby photographer in mind. 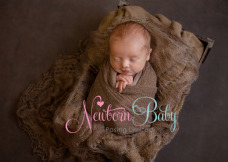 Fill with soft furs, fabrics and textures and lay baby into the crate for a shoot down shot or pose baby into head on hands (composite image using a spotter to keep baby safe). 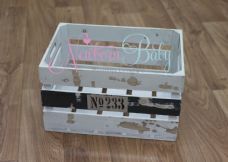 If using the crate for a sitter shoot keep a hand on the back of the crate and edit out after. 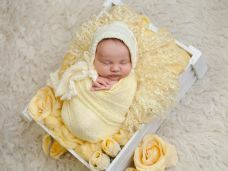 This will keep baby safe while you photograph.